Since we’ve been back from Disney World, so many people have asked about the weather during our August trip to Disney World. Weather is one of the biggest things to think about when planning a holiday, so I could understand why so many of the questions we received about our trip were about what the weather is like at Walt Disney World in August. Is the weather too hot at Disney World in August? Lots of people wanted to know how rainy Florida is in August, and how we were finding the heat. Prior to this trip, I had actually told Sam that summer would not be my preferred time to visit Disney World. I remember struggling with the heat on a family Disney World trip in August when I was a teenager. Comparatively, I went to Disney World with my secondary school in April (I know, the jackpot of school trips, right?!) and found the weather hot, but more comfortable. Going into our recent trip to Disney World in August, I was preparing for the heat to feel overwhelming. So, I was surprised to find it ABSOLUTELY FINE. In fact, it was so fine, that it has totally re-opened up the possibility of us planning future family holidays to Disney World in July or August. A large part of that is down to being better prepared and knowing what to expect – I packed only my most lightweight and breathable of clothing (no denim!). Having young children, I found we weren’t gunning our park schedule in the way that I did as a teenager where we were out in full sun all day every day. Instead, we took a slower pace, making sure to add in lots of sensible breaks for water and shade. Florida is warm and humid all year round, so it is going to be very hot in the summer time. The Disney World parks do an extremely good job of providing plenty of areas to cool down. Most ride queuing areas are shady or air conditioned. Make use of the water play and cool down areas of the park (for example, the steaming mist in Tomorrowland, the water jets in Adventureland, and the Casey Junior water play section) to keep you refreshed and cool in the heat. Is it rainy at Walt Disney World in August? Packing a raincoat is a must if you are going to Disney World in August. August does tend to be quite a rainy month in Florida, but we actually found the rain a welcome break from the heat. Most of the time, the rain comes as an afternoon shower, lasting between 30 mins to one hour. During this time, we did find that a lot of rides stop operating, so it’s good to have an indoor plan for rainy periods.There were a few days (two, I think), where the rain didn’t stop all afternoon. If you are on a tight schedule, rain can add an annoying delay to your park schedule – but if you plan your days in advance, a lot of this can be avoided. During our time at Disney World in August, it never rained before 1pm. So, if you can, plan ahead with your fast passes, booking outdoor rides for the morning, and indoor rides and shows for the afternoon (between 2 – 6pm), when it is most likely to be rainy. If it is exceptionally rainy, fireworks and night time shows run the risk of being cancelled. However, I’ve been to Disney World in August twice, and never had a cancelled show. If you really, really do not cope well in the heat, I would consider going to Disney World at one of the more cooler times of year for Florida. Otherwise, plan your park days well, pack a waterproof, and have fun! This post is in partnership with Walt Disney World and Mumsnet. 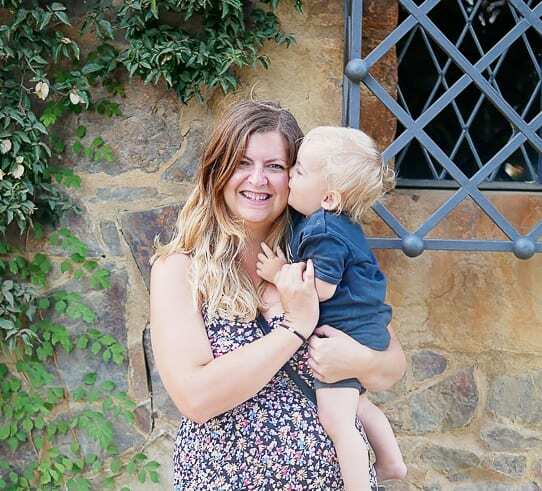 I am a member of the Mumsnet Bloggers Panel, a group of parent bloggers who have volunteered to review products, services, events and brands for Mumsnet. I have not paid for the product or to attend an event. I have editorial control and retain full editorial integrity and all opinions here are my own. One of the best things about Florida is that no matter what time of year you go, you are always going to get warm weather. I’ve always been tempted to take an extra week off school to go in one of the half terms!